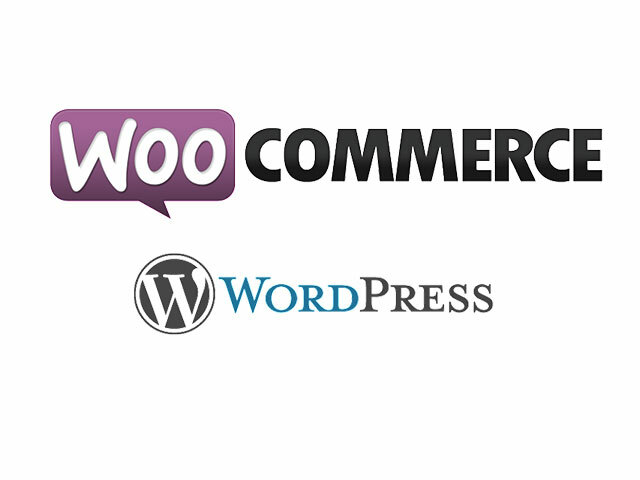 Best Free Wine Store WooCommerce WordPress theme builds with Genesis Framework, shopping cart supported by WooCommerce 3.x, Responsive Layout, Easy to Customize! 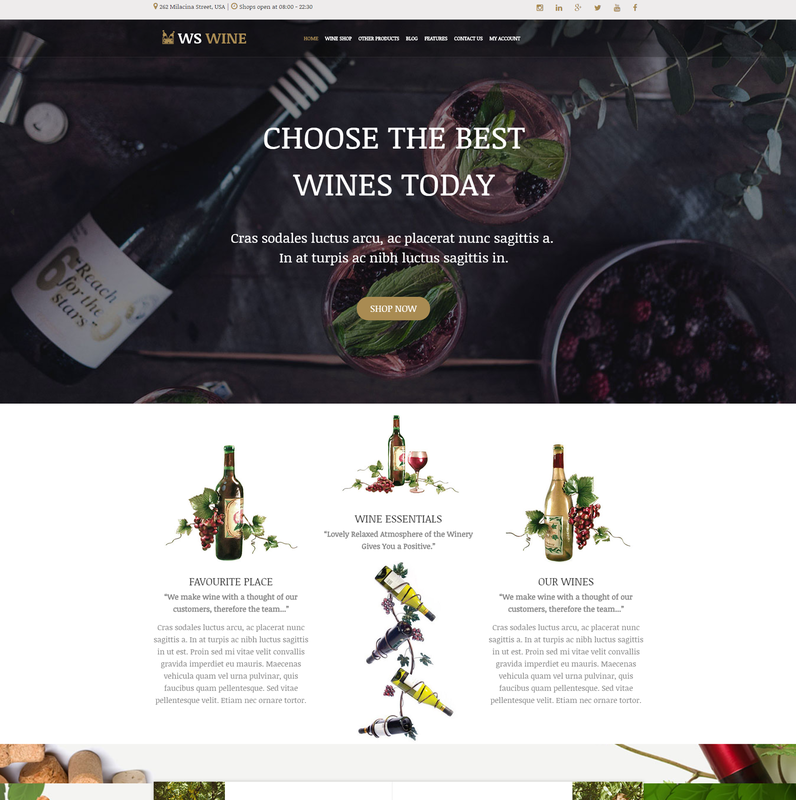 The Wine Store WordPress theme is especially designed to stimulate the viewers’ creativity and desire for fine quality wine. 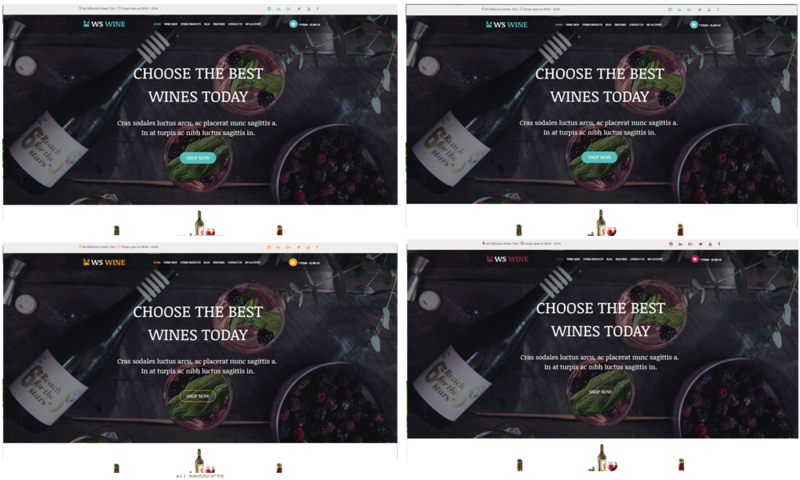 WS Wine is responsive Wine Store WooCommerce WordPress theme designed to target for wines company or maybe you’re a wine retailer. Our layouts promote modern & dynamic designs that impress any wine lover and offer an amazing experience for anyone landing your pages. Also, they are extremely easy to install and implement. Also, each theme is modern and supports cross-browser compatibility allowing anyone to visit your site. In this case, 100% responsive design of the wine theme ensures they render well on the majority of devices. By combining the finest stock images with visual effects and stimulating colors, we managed to create a mysterious and pleasant atmosphere that any wine lover will appreciate. Features like social options increase your site’s modern aspect and offer viewers the possibility to share your content and increase your online presence. 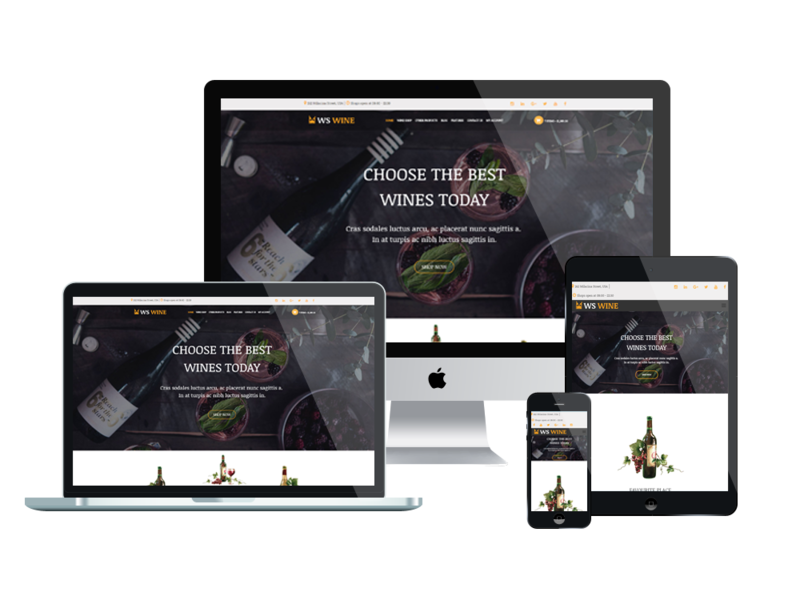 With our Wine Store WordPress theme, you are provided with everything needed to create a professional website that supports your business and encourages growth.